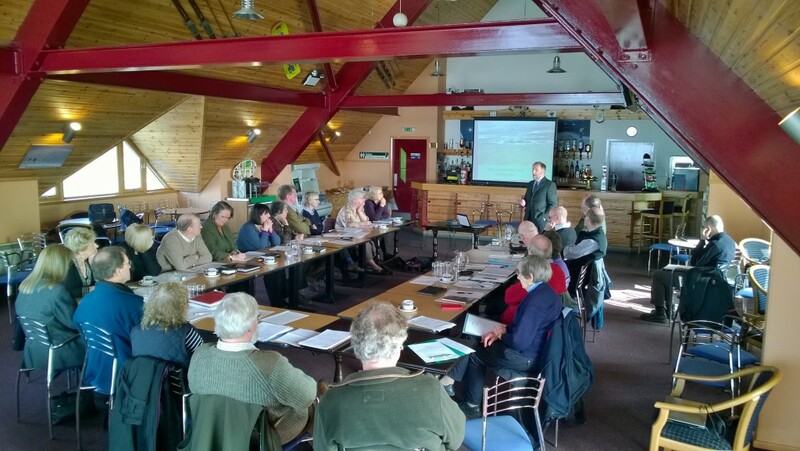 Formed back in 2004, the Association of Cairngorms Communities (AoCC) provides a platform for all active community organisations within the Cairngorms National Park to get together to discuss common issues, share information and encourage joint action. AoCC is a useful forum for networking with other community representatives, and speaking directly to the people who help to make the policies that affect communities in the National Park. If you are involved with a community group, or want to develop a project in your community, the Association of Cairngorms Communities could offer you support and guidance – and membership is FREE! The Association hosts meetings of the Planning Representatives Network (PRN) approximately twice a year. The PRN involves planning contacts from each of the Community Councils and Associations from across the National Park coming together with CNPA staff to discuss planning policies and issues. More information on the Planning system in the National Park is available in our Planning section. AoCC recently commissioned a report on micro-hydro potential in the Cairngorms National Park. View the final report here. For more information on the AoCC please contact the chairperson, Roger Clegg, tel: 01575 560274.